Boston’s cost of living is high, ranking among the top 20 most expensive cities, but Boston is a city of neighborhoods — several distinct neighborhoods — and each is different in terms of affordability as well as character, diversity and environment. Beacon Hill, Back Bay and the North and South Ends are the most popular. Yes, homes and apartments are not cheap in certain neighborhoods, but you’ll likely find one somewhere that won’t bust your budget. If you can’t find a neighborhood that’s the right fit in terms of cost and culture, look into some of Boston’s neighboring towns, such as Cambridge, Somerville or Watertown. You may want to rent before you buy to get a sense of whether the neighborhood or the city are right for you. Many apartments are in two or three-unit houses that are owner-occupied. Having the landlord in the building can be a benefit, assuming they are a good landlord who knows what they are doing. You want to make sure you know your rights before signing a lease. If you decide to use a real estate agent to make the apartment search easier, bear in mind that you’ll probably need to pay them a fee equal to one month’s rent while also paying your new landlord for your first and last month’s rent and a security deposit. Most Boston Apartment Buildings are Walk-Ups. Apartments in Boston are not found in apartment complexes, but in multi-floor buildings. Because of their age, many of these apartment buildings do not have elevators. Typically, only the newer luxury high-rise buildings have elevators. That means tenants can find themselves walking up three, four or even five flights of stairs to their living quarters. This would be something to think about if you are preparing to move to one of these “walk-ups.” If you can’t pack light and know you’ll be transporting heavy stuff, you’ll want to recruit a team of family or friends to help you move, or better yet, hire a professional mover! Unlike New York City, where most people hop into cabs, Boston residents usually get to work or across town by taking the “T” (as we call the subway, above-ground trolley and commuter rail system operated by the Massachusetts Bay Transit Authority). However, also unlike NYC, the T stops operating around 12:30 – 1:00 a.m. (depending on which line you’re on). Since Boston bars are open until 2:00 a.m., you would need to grab a cab or hire an Uber or Lyft to get you home after a night on the town. Many people also walk or bike ride. Fewer and fewer residents drive their cars in Boston (and many don’t even own a car) and that’s mainly because of its chaotic road system. Boston roads are more crooked than organized in a logical grid pattern (as the locals say, Boston’s roads are like the old cow paths they replaced.) You will also find rotaries, one-way streets, and random dead ends — enough to get anyone lost or lose their mind. Because of this situation, traffic jams occur more often than the typical city and when you least expect it. You’re guaranteed to find traffic if it’s raining or snowing, or if the Red Sox, Celtics or Bruins have a home game scheduled. You also have the other Boston drivers to contend with — many of them brave, but very fierce. If you drive in Boston, make sure to drive defensively as well as allow plenty of time to get where you’re going so you don’t lose your cool from traffic making you late. You can easily get from one side of the city to another by foot, and the experience can truly be pleasant as Boston boasts numerous green spaces throughout its many neighborhoods. A walk from Back Bay to the North End can take you through the Public Garden and the Boston Common — beautiful, large parks with tree-lined pathways. Each is filled with flowers in the spring and summer when the Public Garden offers its Swan Boat rides. The Common’s Frog Pond is set up as a popular skating rink in the winter. If you move to Boston with a car, the question of where you are going to park it is as important as where you are going to live. With it’s narrow, winding streets, which may only offer parking on one side (if at all), Boston has gained a reputation for its dreadful lack of on-street parking spaces. Also, many apartments don‘t offer off-street parking. Even if you apply for a resident parking permit, there’s no guarantee you will find a space when you need one. Parking garages are available around the city, however they can be very pricey — anywhere from $40 to $85 per day. If you park your car on the street, you may be required to move it during a snowstorm to allow for snow plowing. Unique to Boston is the post-snowstorm custom of shoveling out a parking space for your car and reserving it by leaving a chair or something similar in the space. Since you shoveled the space, it is yours and can remain yours for the period of time agreed upon by the neighborhood (typically 2-4 days). However, if you decide to steal someone else’s shoveled and reserved space, be prepared to find your car with a nasty note or even a flat tire. Boston’s parking situation is another reason many city residents forego owning cars and commute by walking, biking or taking the T.
In case you didn’t already know this, Bostonians take their sports very seriously. Each of the major sports teams has achieved championship status at least once in the past 10 years and has a decades-long record of success. The century-old Fenway Park (where the Red Sox play) and the Garden (which is home to the Celtics and Bruins) are beloved landmarks steeped with history. The sports scene is also rife with rivalries, and none more heated than the one the Boston Red Sox have with the New York Yankees. Any new resident daring to wear a Yankee baseball cap had better be prepared for some serious ribbing from the locals. Like the rest of New England, Boston gets several inches (sometimes even several feet) of snow each winter, but there’s also those damp North Atlantic winds that can make the cold downright bone-chilling. The rest of the year, you can find the weather shifting from chilly and rainy to hot and humid and back to chilly, even in the course of one day! For that reason, locals dress in layers and prepare themselves for a change in the weather. When You’re Ready to Move…. If you are moving to Boston to attend college in the fall semester or you just happen to be planning your move for September 1st, you’ll want to start your apartment search at least a few months in advance. Because of Boston’s many colleges and universities and the large student population they attract, that time of year is the busiest (and often craziest) move-in period in the city. Unless you are a student, you may want to plan your move for another time. It will not only be difficult to find an apartment, you may also have problems lining up a mover, renting a U-Haul or finding street parking. If you are a student, then beware: the fall’s influx of new students as well as all the students who are returning to school after the summer break typically creates total mayhem in the streets. Droves of moving trucks, vans and other vehicles come into the city and line up to unload students’ possessions, many unaware of what they are doing. 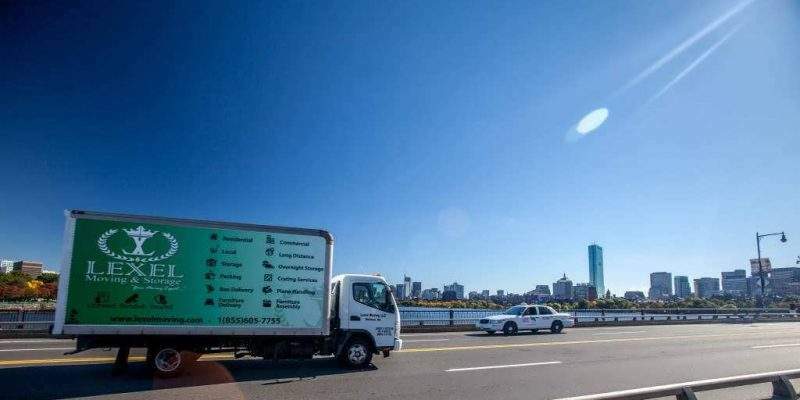 You will want to avoid Storrow Drive and Memorial Drive because there will always be someone with an oversized truck that gets stuck under one of the overpasses, creating a traffic jam. If you’re looking to remove any potential stress from your Boston move, a professional mover who knows the city, its neighborhoods and the streets can assist you with that. At Lexel Moving, we can help with your packing, provide you with packing supplies and temporary storage, and plan your move so it occurs at the best time and under the right conditions — when traffic is lighter and parking will be less of an issue. We can also take care of getting a parking permit and reserving a parking spot for the moving truck. Plus, we’ll make sure you have the right- sized truck for your needs and getting your possessions into Boston without getting stuck under an overpass! Just give us a call at 855-605-7755. 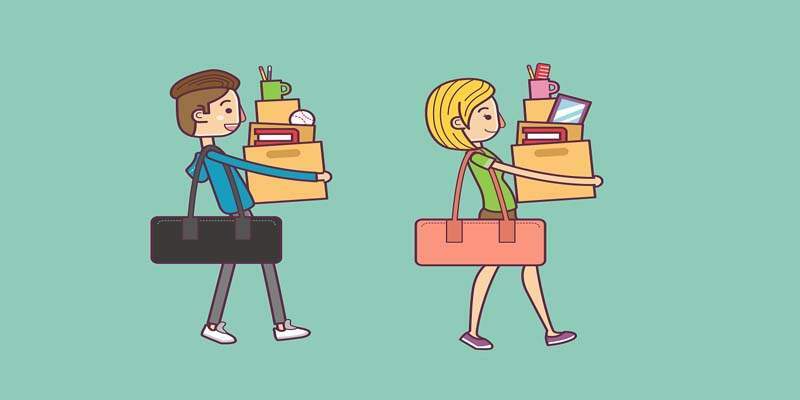 During your college years, you do more moving than perhaps your lifetime — moving in and out of dorms and on and off-campus apartments on a yearly or even a per-semester basis. All that moving can take a toll on both your psyche and your possessions. Below, we offer several suggestions for how you can make your move this fall a bit easier and much less stressful. As a mover, we know what works and what doesn’t! Use very sturdy cardboard or plastic boxes or crates for packing – It may seem easy to just grab an old box or borrow one from the local store for moving your possessions, however used boxes are often compromised or weakened. If there are already dents, tears and wear on a box, loading it up with stuff and putting it through the rigors of moving will only worsen them. Just any old box won’t do — you need to use something very durable, so a thick cardboard or (ideally) a plastic box or crate is your best bet. Make sure to use smaller boxes for heavier items and larger boxes should only be filled with lightweight items. Tape up cardboard boxes securely – You want to make sure that every box is closed securely with tape. In addition to taping the flaps on the top and bottom together, you want to put tape around all the edges where the flaps meet the box. This will prevent the box from having anything slip out as well as strengthen it. Label your boxes – By indicating on each box what’s in it and what room it goes in, you’ll avoid having to relocate boxes from one room to another after the move. That’s also why you want to make sure you only have items from one room in each box. Avoid stacking weak boxes or other items that may break from the weight – One thing people strive to do when moving is make efficient use of space and time. As a result, they often pile boxes and things on top of one another as they’re packing, try to carry two boxes at the same time, and stack and stuff things into a vehicle too small or unsuitable for moving. You want to keep heavier boxes on the bottom of a pile and breakables on top, and remember that items may shift around as you’re moving from one location to the other. Use a dolly or hand truck to transport items more easily and save your back – Moving can be a back-breaking effort and injuries during moves are common. If you’re not already a weight-lifter, athlete or workout devotee (i.e. in good shape), then take it easy by using these tools to move your boxes and heavy items or consider enlisting some help. Secure a parking permit/parking spot – This is a very simple process in which you either go to the Boston City Hall or website — https://www.boston.gov/reserve-parking-spot-your-moving-truck. The cost of the permit is around $50. A standard moving truck is 34′ feet long nose-to-tail, therefore it takes up two parking spots that you’ll need to block off with your car and possibly one other (a family member’s or friend’s car). Reserve the elevator in your building – To ensure your move goes smoothly, you need to communicate with your building management as well as any moving company you are using. Having the elevator reserved will save a lot of time and money. Normally, elevator reservations are done in 3-hour increments, so it is important to calculate the right timeframe of your move-in. If your items are loaded in the morning, you should reserve the elevator for the move-in around 12-3 p.m.
Could you use some help? If the thought of your move this fall seems very daunting to you, consider hiring a professional mover such as Lexel Moving. We know the ins and outs of the streets of Boston and its suburbs very well and offer rates that are affordable to college students. We can help you with any aspect of your move — packing, transporting, move-in and/or set up of your possessions. We can also take care of securing the parking permit and posting and removing it. If you have any overnight storage or packing supply needs, we can help you with those as well. Just give us a call at 855-605-7755. Lexel Moving, LLC is fully licensed, bonded and insured. We carry general liability, cargo and workers' compensation. Lexel Moving, LLC is licensed by the Massachusetts Department of Public Utilities, Transportation Oversight Division, certificate number 31750 (MA).